You are at:Home»Posts Tagged "col_agnel"
At 2744 metres, Wikipedia lists Col Agnel as the 3rd highest paved mountain pass in Europe. This monster has been on my cycling list of “to-dos” for ever. Woohooooo! Winter is for dreaming. 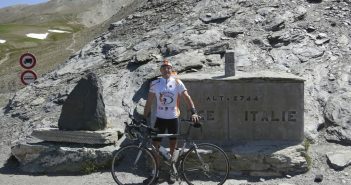 Here are five great French Alps climbs all over 2,000 metres that to-date I have not yet cycled.